A firsthand look at being young and Muslim in modern Australia. Presenting nine contemporary artists whose otherwise diverse work is tied together by their experiences of being young and Muslim in Australia. 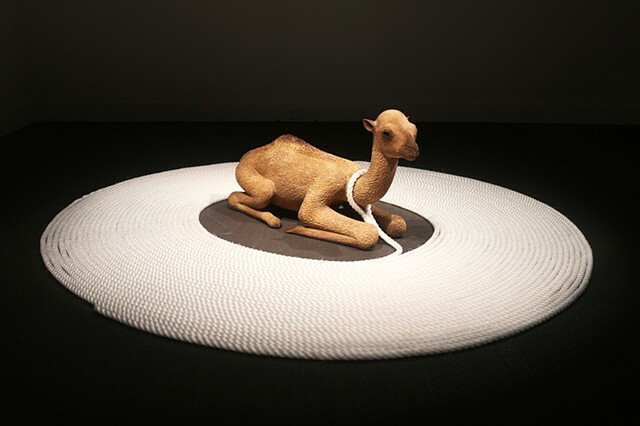 The featured artists are (almost) all members of ‘Generation Y’, growing up or migrating to Australia in the 1990s and early 2000s, and their work reflects lives spent living with and challenging a ‘post-9/11’ construction of Muslim identity.